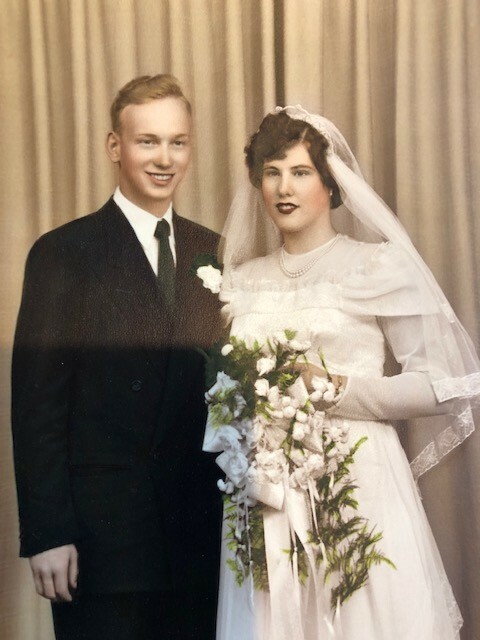 Eckert O. Laird, 86, died on Saturday, April 6, 2019 at home surrounded by his family. Eck was born in Kittanning PA. He was the son of John W. Laird and Helena Cogley. Eckert at the end of high school joined the army, serving in the Military Police and laying mines in the Korean War. After being honorably discharged he married his high school sweetheart and love of his life July 27, 1952. Eckert moved his family to Lawrence in 1967. He working at Merchant Tire Company as a truck service manager for 40 years. He was a member of the American Legion and United Masonic Lodge since 1985. Family and friends were the most important part of his life. He enjoyed collecting antique cars and any type of clock. Eckert will be greatly and sadly missed by his loving wife of 66 years Mary Alice Laird, his sons Kenneth Laird, Matthew Thomas, and daughter Cindy Benitez. Loving grandchildren Joey, Nicky and Reyna Benitez and Kirah Laird. His loving sisters; Sylvia, Karen, Helen and Iris and a brother Dennis. Sister in law Roberta Colley and many nephews and nieces. Calling hours will be Friday April 12, 2019 from 9 to 11 am at the Riverside Assemblies of God Church, 15 Lowell Blvd, Methuen, MA., 01844. Funeral services will begin at 11 AM. Burial will follow at St. Mary Immaculate Conception Church in Lawrence. In Lieu of flowers, all donations can be made to the United Riverside Assemblies of God Church, 15 Lowell Blvd., Methuen, MA., 01844.